Rijff At Randers - Misc. Graceland Randers will make a permanent exhibition for Ger Rijff's amazing art. 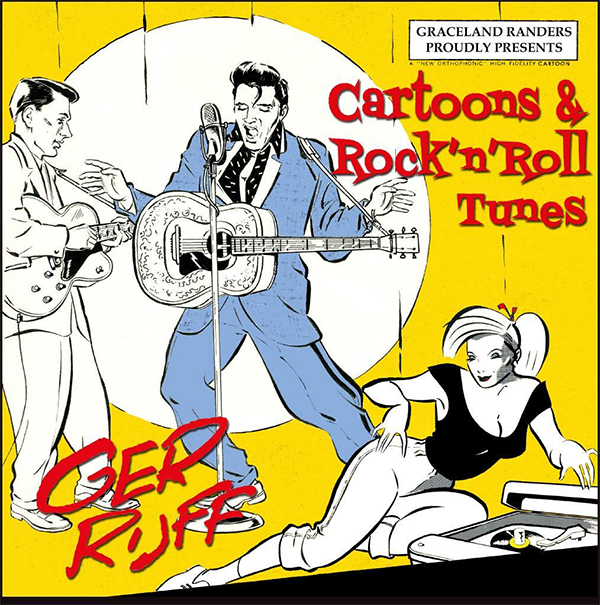 The exhibition will be accompanied by a special program in the form of a mini book called Cartoons & Rock 'n' Roll Tunes. This program is conducted by Ger Rijff, Ann Olander and Kenneth Dokkeberg. With it comes a limited edition CD with some of Ger's favorite tunes from the 50's - mostly Elvis songs. Program-package will only be available from Graceland Randers.